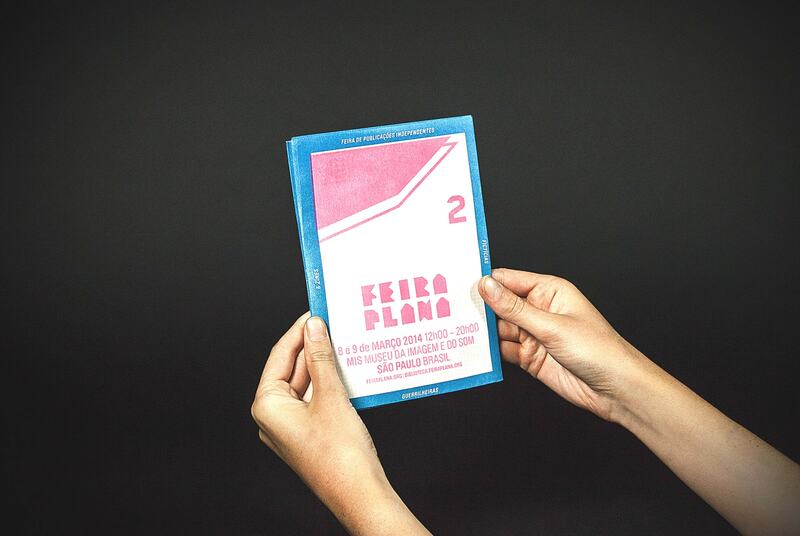 Feira Plana is na anual event that put together independent editors from all parts of Brazil since march 2012, taking place at MIS – Museu da Imagem e do Som. 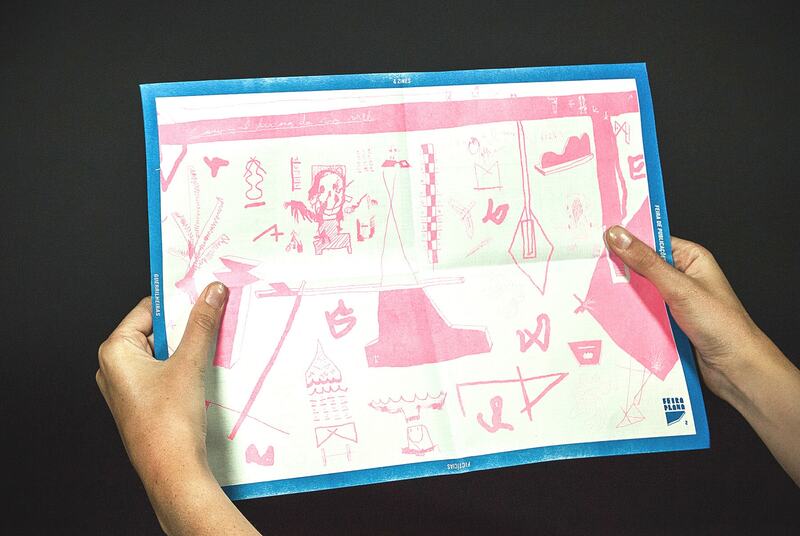 The fair features artist books, zines and underground publications that still have a guerrilha fever. All designers and publications are selected by founder and curator Bia Bittencourt. 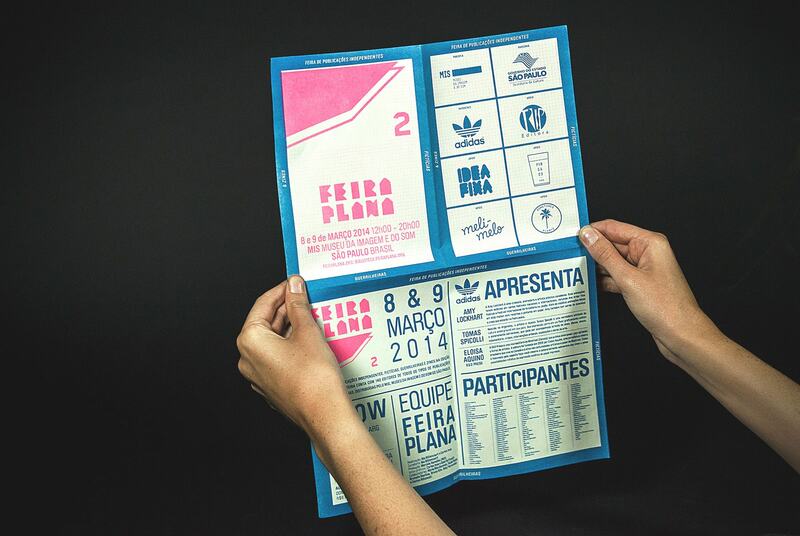 This folder was made for the second edition of the fair that took place in March 2014, featuring a list of the participants, the schedule and an illustration by the artist Carlos Issa. 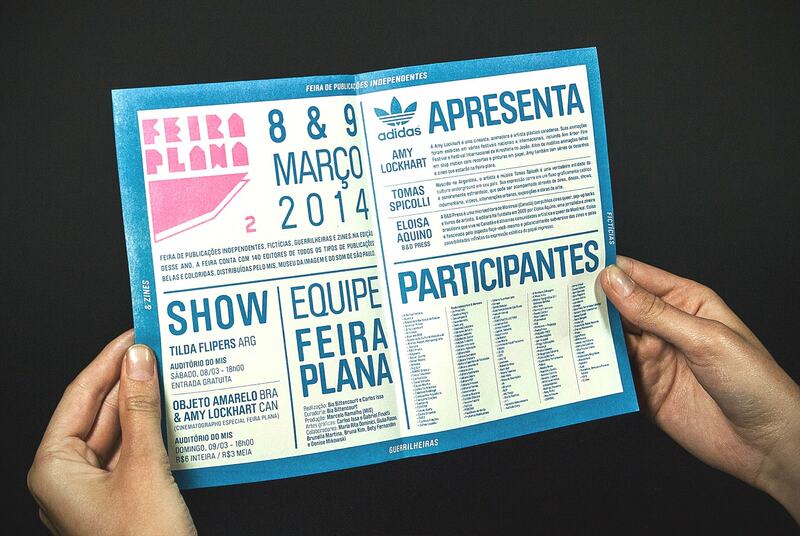 It is part of the whole identity created for the edition that was sponsored by Adidas.